Thousands in Washington, D.C., and across the U.S. marched Sunday in the "Equality March for Unity and Pride" event planned by gay rights advocates. The march aimed to promote unity and highlight members of the LGBTQ community, while also calling for an end to discrimination and expansion of LGBTQ rights. The march occurs one day before the anniversary of the Pulse nightclub shooting in Orlando, Florida. Forty-nine people were killed at the gay nightclub making it the largest mass killing in the U.S. since the Sept. 11 attacks. 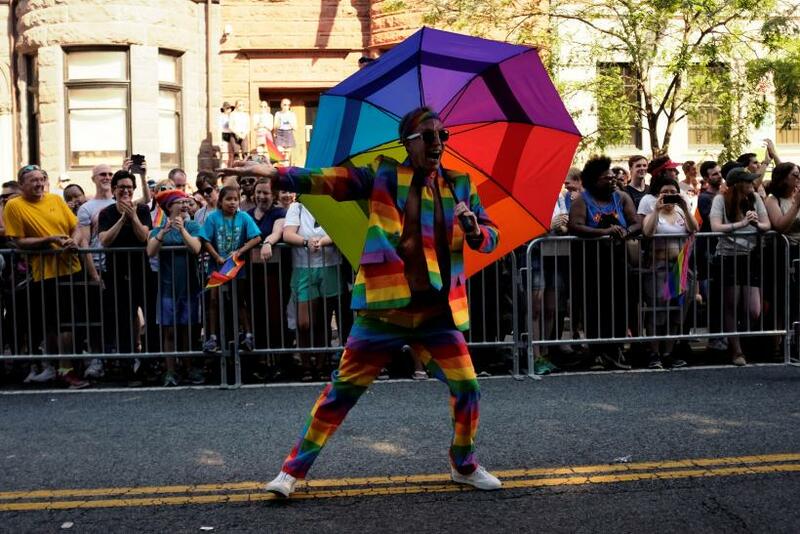 The march was a cap to a Pride weekend in the nation’s capital, which featured the D.C. Capital Pride Parade on Saturday and other celebratory events. Saturday's event was briefly interrupted by an organization called No Justice No Pride. The organization feels that the parade has become too corporate and has forgotten its roots. “Capital Pride has consistently demonstrated that it is more interested in accommodating the interests of Metropolitan police and of corporate sponsors than it is in supporting the very communities it supposedly represents,” said the group in a statement. Sunday’s march featured signs of encouragement and togetherness but also many harsh criticisms of President Donald Trump and his administration. “I’m here because it’s a matter of celebrating and supporting LGBTQIA identity. It’s not about politics or policy or a difference in political opinion. It’s about an administration denying our identity. We will resist completely,” Timothy Kaine a marcher told PBS. "Pride over the past few years has become more celebratory than ever," Ellis said. "But I think we're back to the times where it's important for us to be loud and resistant and fight for our rights and visibility. I want them to take the message that we're not going away, that we will not be erased and that we need to be acknowledged and brought into the conversations and into legislation." June was designated as LGBT Pride month by former President Barack Obama to coincide with the 1969 Stonewall Riots which started in June. The riots against the police were a watershed moment in the LGBTQ community’s fight for equality. To date, Trump has made no mention of Pride month, nor acknowledged it. Obama would typically make a proclamation at the beginning of June. Former President Bill Clinton was the first president to make a proclamation, but the tradition wasn’t taken up by his successor George W. Bush. Secretary of State Rex Tillerson chose to recognize Pride, breaking from his boss. "In recognition of LGBTI Month, the Department of State affirms its solidarity with the human rights defenders and civil society organizations working around the world to uphold the fundamental freedoms of LGBTI persons to live with dignity and freedom," said Tillerson in a statement. Is Coachella Owner Philip Anschutz Anti-LGBTQ?